Mega Sale! Free Shipping Included! 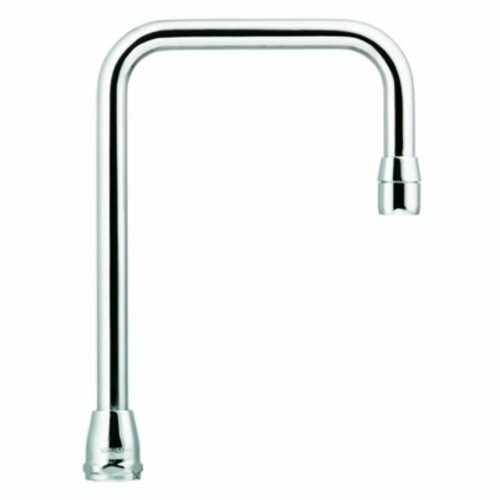 Save 25% on the Moen S0002 Commercial M-Dura 6-Inch Reach Double Bend Spout 5.00-Inch to Aerator, Chrome by Moen at Wakaf Center. MPN: S0002. Hurry! Limited time offer. Offer valid only while supplies last. S0002 Features: -Create a bright, highly reflective, cool grey metallic look. -Finish: Chrome. -M-Dura collection. Product Type: -Spout inlet/outlet. S0002 Features: -Create a bright, highly reflective, cool grey metallic look. -Finish: Chrome. -M-Dura collection. Product Type: -Spout inlet/outlet. Finish: -Chrome. Application: -Kitchen sink. Dimensions: Overall Height - Top to Bottom: -12.7". Overall Width - Side to Side: -3.25". Overall Depth - Front to Back: -7.1". Overall Product Weight: -1.64 lbs.